Each Monday, I post a curated list of blogs, podcasts, recipes, books, and activities that will get me motivated for the week ahead. Click – Because I come from the school of Cher Horowitz and Carrie Bradshaw, the whole idea of living purposefully with less stuff was a bit of a shock to the system. Now that I’m in the midst of some serious decluttering, I find myself turning to Blonde on a Budget for inspiration. Sure, there’s a host of decluttering gurus on the Internet, too, but Cait’s relatable attitude and consistent approach have me convinced that this habit is actually something I can sustain. Cook – ‘Tis the season…for slow cookers! This recipe for Salsa Verde Chicken combines my love of all things salsa with the time-saving ease of a crockpot. The fact that you probably have most of the ingredients on hand is an added bonus. The leftovers are great on top of a bed of lettuce for lunch the next day, too. Read – The Urban Homestead: Your Guide to Self-Sufficient Living in the Heart of the City by Kelly Coyne and Erik Knutzen was so engrossing. In addition to having spent recent weeks contemplating a new garden strategy for next (we try to expand and add new plants each year), I had also just finished reading Zero Waste Home. So I was probably perfectly primed to dive into a book that outlines all the ways in which city-dwellers can garden, harvest, can, pickle, and even raise hens. While Mr. P has outright rejected my pleas for a chicken coop in the past, I see some fun bean teepees in our future. Do – I’m a big fan of bodyweight exercises, especially if I’m crunched for time, since I have to travel no further than my living room. I love this list because it’s split into sections that target different areas of the body. The core workout is pretty intense. And the model’s expression* after tip 50 makes the entire list worth reading. 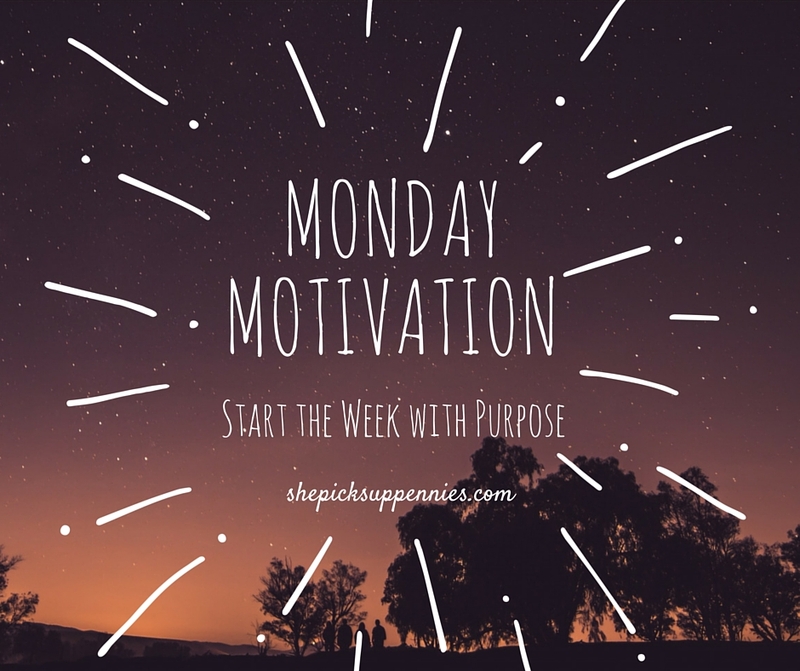 So Tell Me…What’s got you motivated this Monday? Are you ready to bust out the slow cooker now that fall is fast approaching? Do you have any go-to workout routines when you’re pressed for time? I LOVE Serial as well. I usually end up doing binge listening. I live in Cali so it is still pretty hot to be cooking with the slow cooker regularly right now, but I do love it. Thanks for the reading recommendation, it looks like a good read. Ready for Fall for sure! Until I saw the forecast this week. We’re ready for chili, apple pie, football, and Oktoberfest! While it’s kind of geeked-out, I’m a bit excited about seeing what the markets are going to do this week. Last week was such a wild ride, it will be interesting to see how it all plays out this week. Ooooh, apple pie. How could I forget? I agree. Watching the market could make for an interesting week. So glad you stopped by!